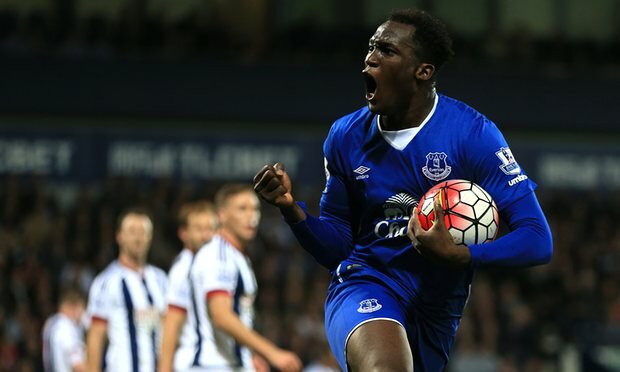 Diego Costa's move to Atletico in doubt as Chelsea prepare to offer £60m for Romelu Lukaku! Diego Costa's reported longing for a return to Atletico Madrid has been thrown into doubt this weekend as Chelsea prepare to offer Everton £60m for Romelu Lukaku after a £57m bid was rejected. The immediate futures of Diego Costa and Romelu Lukaku has been under the microscope all Summer with both being linked with big money moves away from their current clubs. Both are reportedly looking for a return to their previous clubs as they feel they have unfinished business and we have sat and waited for weeks to see what was going to happen. The wait now seems to be over. The situation with Diego Costa seemed pretty straight forward. Atletico Madrid spoke have spoken out publicly over their intent on re-signing the Brazilian born Spanish Striker this Summer; so much so, Chelsea have reportedly asked them twice to stop or threaten to report them to FIFA, which still didn't stop them and it seemed as though a £40m offer would be placed on the table for the Chelsea hierarchy to consider as reported on here yesterday. 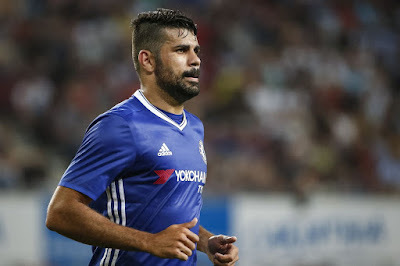 However, this weekend, Atletico have announced the arrival of Sevilla Striker Kevin Gameiro for a reported 32m Euros and you have to wonder if that move is a willingness to admit defeat on their attempts to re-sign Costa? With Fernando Torres already signed on a permanent deal and not forgetting Antione Griezmann, Costa surely now has to remain at Stamford Bridge? It will be interesting to see what happens here and if Atletico follow up on Costa with the intention on having four Strikers competing for two starting places. As for Romelu Lukaku, it seems that he IS a Summer target of Antonio Conte and as reports over this past weekend have stated, Chelsea have had an offer of £57m, a record for Chelsea, rejected by the Merseyside club. Conte is not willing to admit defeat here and it's believed that Chelsea are willing to up their offer (for the second Summer running after the John Stone debacle of last season) to around £60m which they believe will force Everton into selling the Striker who has privately told his friends that he wants a return to Chelsea as he has "unfinished business" here. Could Antonio Conte, who has openly stated that he wants to play with two Strikers up front this season, look to have Costa, Batshuayi and Lukaku as his strongest three with Betrand Traore as the fourth attacking option this season? If he does, it could turn out to be a real formidable attacking line up alongside the likes of Eden Hazard and Willian. The coming days could be big as pre-season begins to ramp up with the start of the Premier League season less than two weeks away! What do you think here? Do you think Atletico will still look to sign Costa or will he now stay? What of Lukaku? What do you think will happen? If BOTH are here, what do you think of our attacking options this season?